Clebsch store have two sizes bands(38mm/42mm),Please check the right size for your apple watch when you make payment! 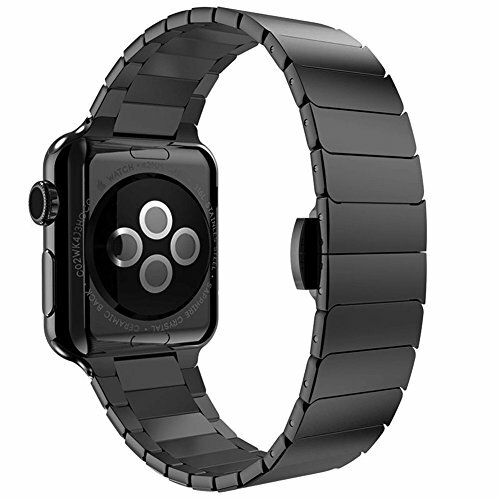 The accordingly size 42mm/38mm fit for apple watch all version released in 2015! Custom designed for your precious Apple Watch 42mm 2015 Version All Models, this Clebsch Stainless Steel Apple Watch Band features a combination of functionality and style (Will not fit for 38mm Edition). Unique Butterfly Folding Clasp: Adopt unique butterfly Folding clasp, firmly closed, and prevent loosen automatically, safe and beautiful. Top stainless steel provides smooth touch feeling for comfortable day to day wear. If you have any questions about this product by Clebsch, contact us by completing and submitting the form below. If you are looking for a specif part number, please include it with your message.